This series has established itself among the pinnacle of anime and manga adaptations to video games. NARUTO: Ultimate Ninja STORM allows players to battle in full 3D across massive environments. Players will unleash powerful jutsu attacks, perform acrobatic evasive manoeuvres and even run up walls and over water as they pursue their opponent for ninja supremacy. Players will be able to customize their character's fighting style and recruit up to two support characters to put their own stamp on the action. NARUTO: Ultimate Ninja STORM has been remastered in HD. 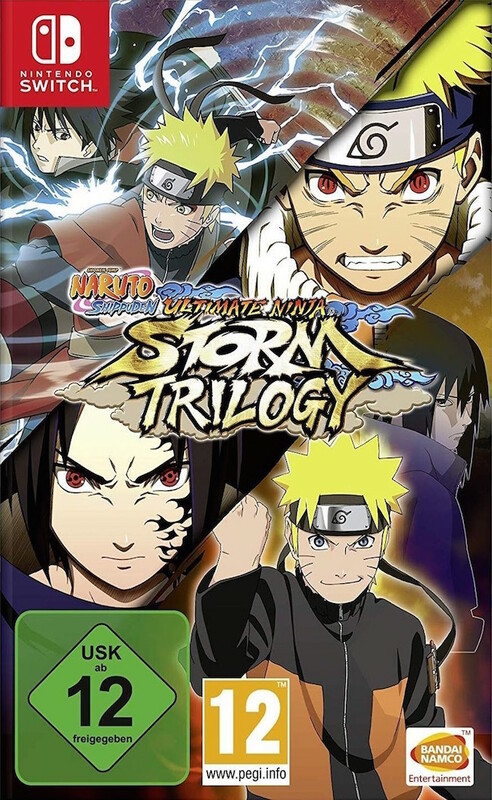 Impressively faithful to the universe of the anime, NARUTO SHIPPUDEN: Ultimate Ninja STORM 2 takes players through the Naruto Shippuden story arc with new battle systems enhancing the gameplay. Players must choose the right companions to fight alongside and together unleash explosive Team Special Techniques to lay waste to opponents. Ultimate Ninja STORM 2 has been remastered in HD. Let op! Dit is enkel een code in een doosje.